A NIGHT IN PARIS! 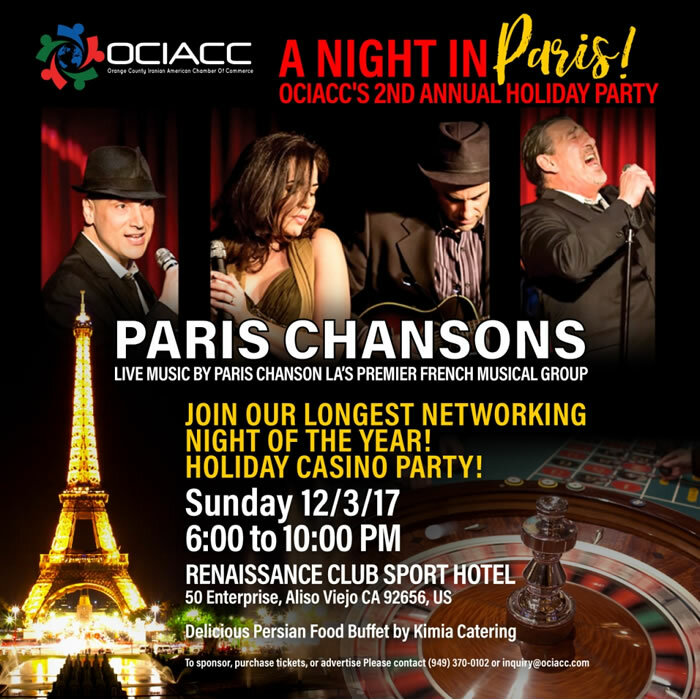 OCIACC'S 2ND ANNUAL HOLIDAY PARTY, OUR LONGEST NETWORKING NIGHT OF THE YEAR! Live music by Paris Chanson LA’s premier French musical group. Aliso Viejo CA 92656, US . information & tickets: 949.370.0102 .